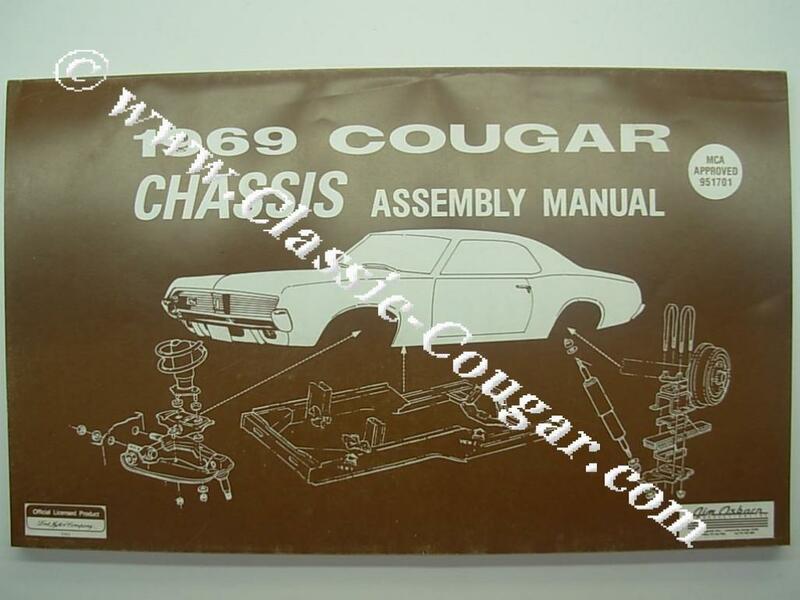 105 pages that every classic Cougar owner who works on his own car must have. Will save many hours of frustration. "These guys have got to be the most professional I've dealt with in the 4 years I've been restoring my Mustang and Cougar. I have had nothing but pleasant conversations even though I suffer from C.R.S. ( Can't Remember ***T) and tend to be long winded." This is a great source of information. Unfortunately some of the pages are pretty dim and hard to see the information. But the information that is available justifies the cost if you are hip deep in a project and have a question. I recommend getting one if you do anything more than polish your Cougar! Nice manual with a lot of additional and important informations about the chassis of a Mercury Cougar. It is a must have for anyone, who restore his car.